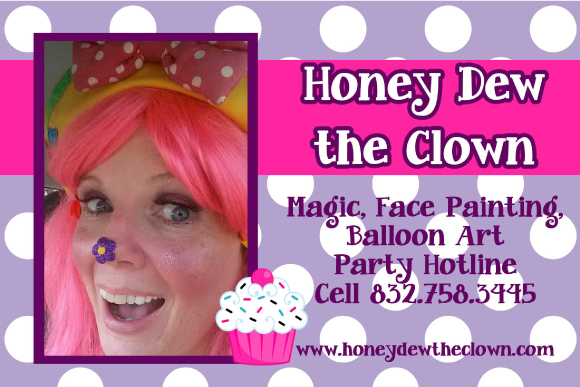 I’m a face painter who can either be dressed as a soft-Non scary clown named Honey Dew, or a fairy type character named Sparkles…. I’ve been in the business about 20 years- love kids and love face painting. I’m also an airbrush artist which means I can work large festivals and fairs quickly with a stencil Airbrush system( and team)….I use only FDA approved paints and glitters, and have been background checked – and deemed safe to work with children!! I paint either fast quick designs, or full beautiful faces. Thank you for considering me for your party! !